For many years, the Libraries has had a variety of equipment available to check out including iPads, laptops, and tablets. They are heavily used and now need replacement. This proposal seeks funding to replace aging iPads and Dell Venue tablets that have had a high hardware failure rate. The purchase of 80 laptops would be distributed in the following way: 50 for the John C. Hitt Library to replace 50 Dell Venue tablets, 25 for Rosen to replace their 24 Dell Venue tablets, and 5 for the Curriculum Materials Center to add to the iPads they currently circulate. The purchase of 30 iPads will replace some iPad 2s that had to be retired as well as lost, damaged, or stolen iPad 4s in the John C. Hitt Library. The equipment proposed can be used simultaneously by 110 students. In the current lending service, there are varying loan periods for laptops, tablets, and iPads. Loan periods for laptops and tablets include 4-hour, 24-hour, 3-day and 7-day loans. The loan periods for iPads include 2-hour and 7-days. If funded, the additional devices will bring the total available in the John C. Hitt Library to 135. For Rosen, the total number of devices will be 25, and the CMC will have 35. 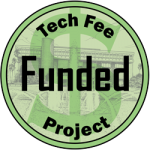 The technology lending page on the Libraries’ website outlines available equipment, loan periods, and locations of items – http://library.ucf.edu/technology-lending/. The laptops and iPads are extremely popular and always in circulation. Over the years, lending practices have changed based on the use of the equipment. At one time laptops could only be used in the library building in 4-hour slots. When iPads were added to the collections, loan periods were increased and students could take equipment home for a week. Now the loans include a variety of time periods to accommodate more students and their varying needs. The 3-day loan period is especially effective for students finishing up a project. Circulation statistics will measure the frequency with which the equipment is used. That information can be analyzed against student performance if such a study is undertaken. Laptop and iPad success will be measured by circulation statistics, student demand, and the collection of anecdotal data. Students will be surveyed when they return equipment on user experience including problems encountered using the equipment, and suggestions for improvements to the program and/or the equipment itself. Equipment quotes were submitted by the UCF Technology Product Center. The iPad Air 2s are 128GB Wi-Fi models and include 2-years of AppleCare+ for iPads. Logitech Type+ keyboard and folio cases, a Bretford PowerSync Cart and a Mac Mini for syncing and charging iPads are also included. The laptops are Dell Latitude E7470s with i5 Dual Core processors, 8GB memory, a 256GB Solid State Drive with 3-year hardware service with in-home /onsite service and 3-year accidental damage service. Additional power adapters and carrying cases are also included.